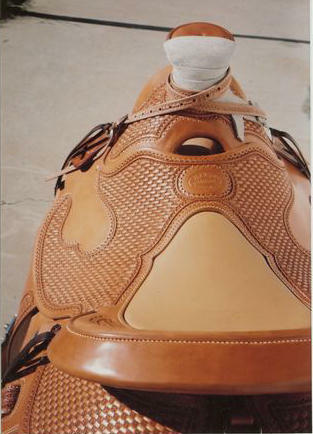 Partial basket stamping, the layout of the basket stamping makes this a very attractive saddle. 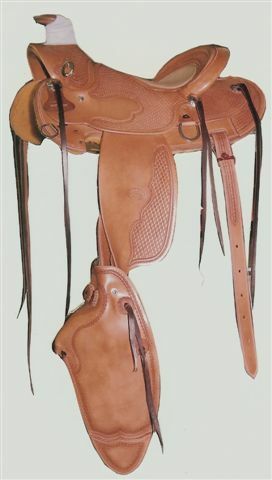 This was made for a lady, 12/14" once leather was used, the flank billets are 1 1/2" double and stitched, the stirrup leathers are single and 2 1/2", all factors to cut the weight and still have a saddle that she can do everything that a person would in a heavier saddle. 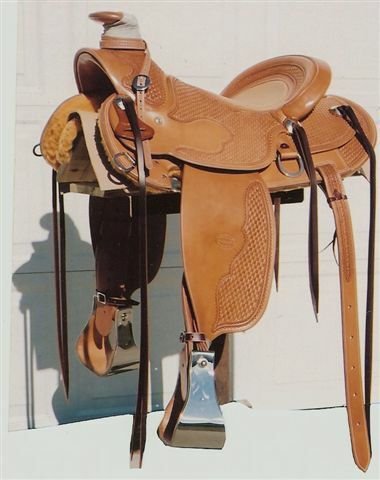 Molly rides a mule – If you ride mules talk to Bob, he will work with you.